We've just come up with a slightly smaller meteorite earring to go with our out of this world pendants. These drop earrings feature not only the famous 4 billion year old Gibeon meteorite but a round accent of moldovite, associated with an ancient meteorite that hit the earth in present day Bavaria. 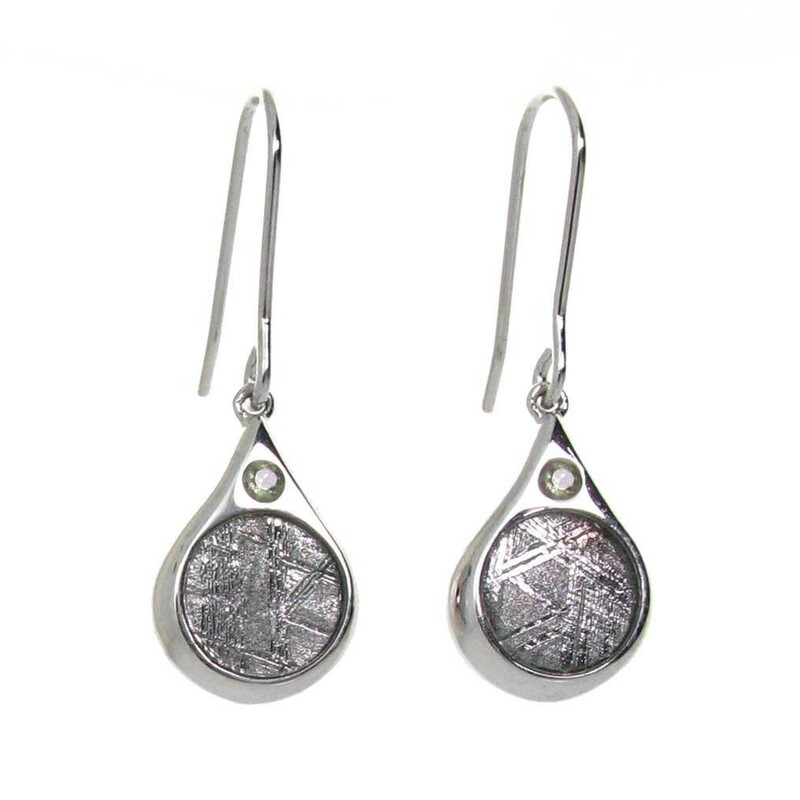 The meteorites are framed in sterling silver and hang from sterling silver french wires. Each pair of earrings come complete with a descriptive card about this famous meteorite.